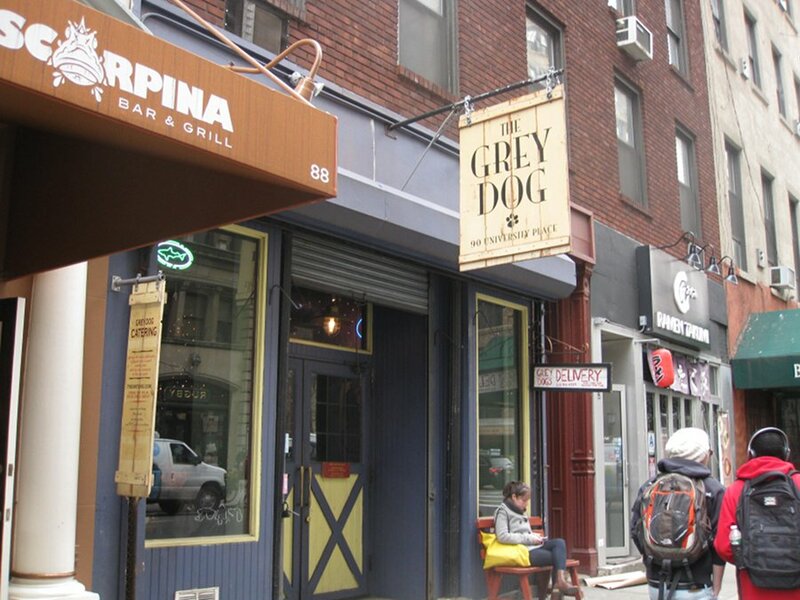 With 3 locations to offer some morning tastiness (Carmine, University & West 16th), The Grey Dog offers a morning treat every day until 3pm. We went to the university street location and stepped into another world with what can best be described as a prospector mine. The table tops have laminated maps on them (our was of Washington state and British Columbia). 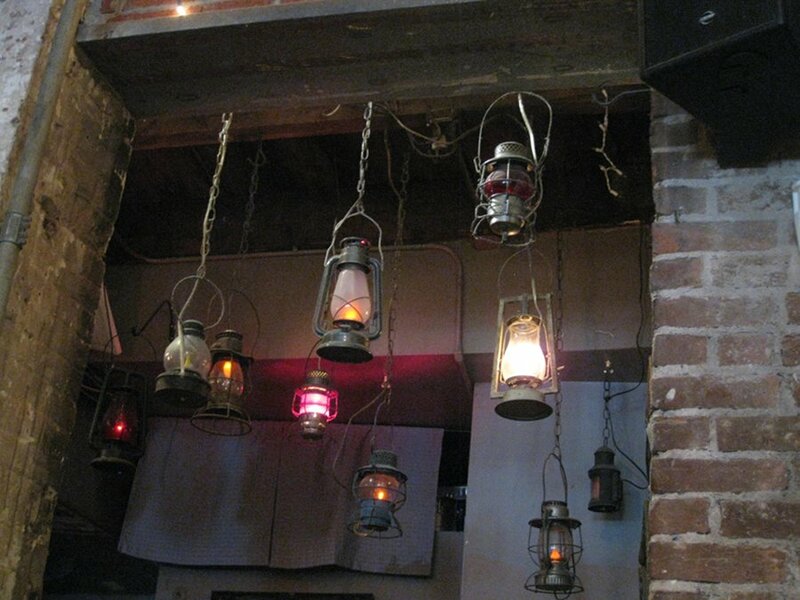 They have lamps at the back and even a mine shaft-looking dumb waiter. How it works is they take your order at the counter, then put it in a vacuum tube that takes it to the kitchen and then, your food comes up to be served via the dumb waiter. This is the first time I have had breakfast served this way: it was cool, to say the least. 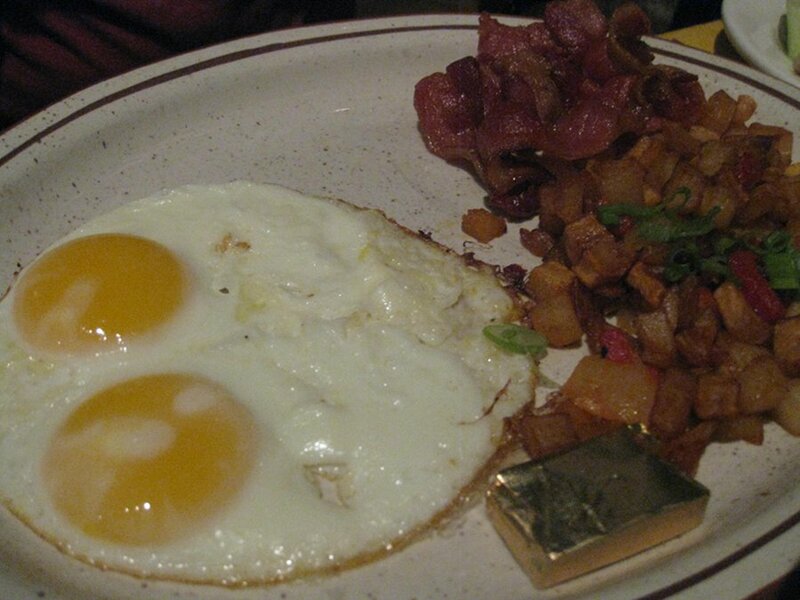 We started off with the eggs, any style, ($8.95) which is basically a classic egg dish that comes with eggs, toast, potatoes and for an extra dollar you can get egg whites. The dish is what it is; simple, to the point and relatively well priced. The free coffee refill makes it a complete package. I would have liked to see a side of fruit but you do get a large portion of potatoes so I was decently satisfied. The potato review will be handled by batata (our resident potato expert) later on in the post so you can get the 411 on how they stack up. 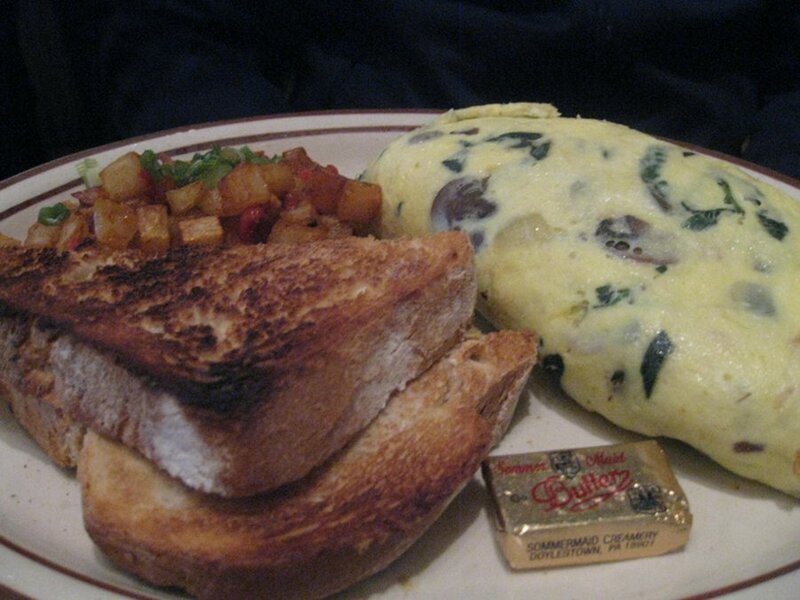 My friend had the Ol’ fashioned Omlette ($8.95) which came with potatoes and toast. For an extra .50 cents, you could get an extra vegetable and for a dollar extra, you could opt-in for a meat or cheese addition. The omelette was quite generous and I’d say that it even bordered on huge. It was tasty and needless to say, nice and filling. It also came with coffee and free refills adding a little more value to the dish which was well priced to begin with. I ordered the Challah French Toast ($9.25). If you know me by now, any time I get a chance to have a French toast with a thicker bread I am a happy camper and challah bread always guarantees a thicker meal. This dish came topped with bananas, strawberries and blueberries as well as a side of maple syrup and a bottomless cup of coffee. The French toast delivered in the taste and presentation department. It wasn’t too fancy but hearty and filling. Every bite was just right and you do get 3 varied fruit toppings. The challah bread is my favourite part since it guarantees a thick slice and a full stomach. It was truly refreshing to be greeted with not only a unique preparation of home fries but some of the best I have had. The unfortunate part is that the place in New York City and I do not live there. I have been creating a pros and cons list to moving there and these potatoes definitely made the list! In all seriousness, it was clearly evident that love was the secret recipe behind these bad boys. The potatoes were hand-chopped to slightly larger than the diced onion, red and green peppers which were perfectly sautéed. I was flabbergasted at the presentation and quantity but, most importantly, the taste was superb. The only criticism might be that the potatoes were diced too small and when taking a bite from the home fries, the potato taste was slightly lost in the onion, red and green peppers. If they were cut slightly larger then the potato taste would be more dominant and a better balance. Regardless, I have given these potatoes a 4 on 5. Yes, these were that good and hopefully, someone in the city can look at this and reproduce them for their brunch. I would definitely keep on coming back for seconds. The service was quite good. We got our refills when we wanted them and our dishes came in a timely manner. We were also not rushed out and there was quite a lineup that was forming. 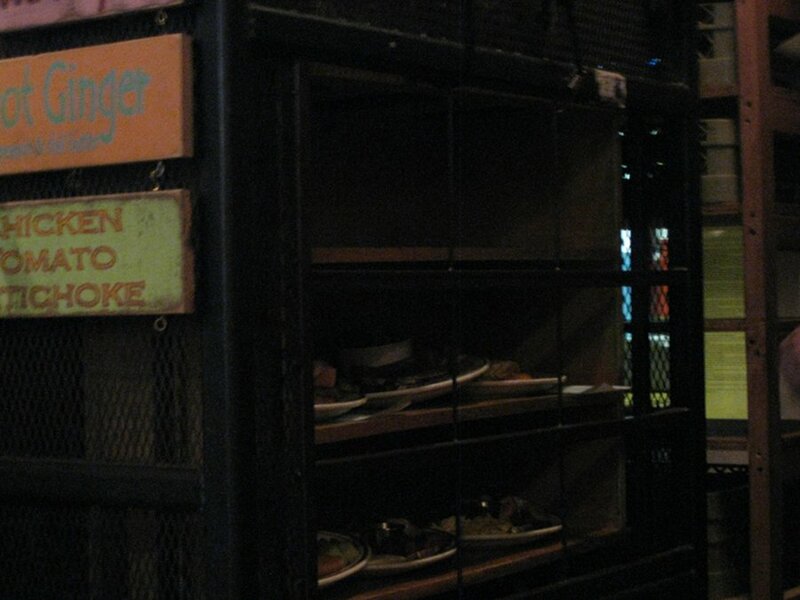 There are vegetarian options. In fact, about 50% of dishes don’t include meat and those that do have it can be asked to have it without. 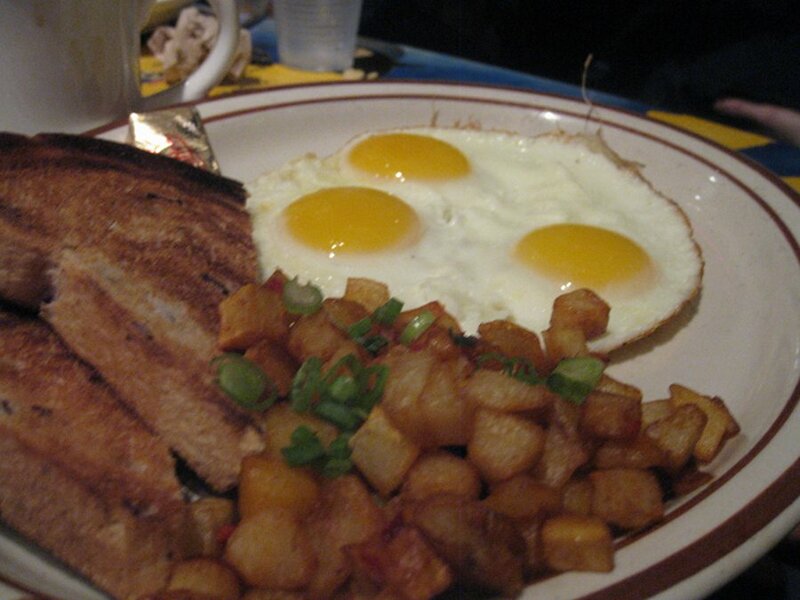 I think Grey Dog is a perfect spot to grab a bite especially if you are looking for a well priced spot with a classic breakfast menu. The décor is fun and the attention to detail will surprise you. The food is filling and well priced. They also have a kids menu, are opened 7 days a week and have 3 locations.